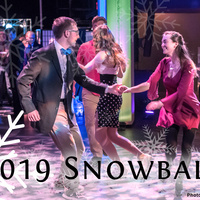 Come celebrate the end of Winter Carnival with the annual SnowBall! Music provided by the amazingly talented Michigan Tech Jazz Lab Band! Plenty of seating if you want to sit and enjoy the tunes or need a break from dancing! Late night hosted by the MTU Swing Dance club from 12am-3am in the band room (upstairs from the stage)! Support provided by the Rozsa Center for the Arts, Blue Key Honor Society, Michigan Tech Swing Dance Club, Michigan Tech Jazz Lab Band, and Mu Beta Psi! Event is FREE!